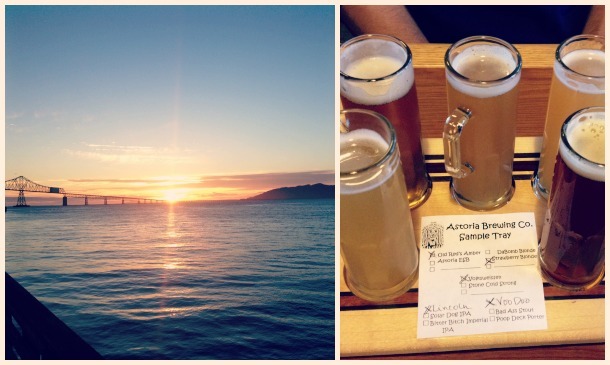 Craft beer and the Coast: two of my favorite things that I’m never far from in Oregon. This past weekend I was able to combine them by heading to Oregon’s North Coast for Beer 101, a celebration of craft beer happening over two weekends in October in Astoria, Seaside and Cannon Beach. After hitting Highway 26 to Seaside, I was ready for lunch – and the aroma of delicious hops and delicious food that greeted me when I walked into Seaside Brewing Company was just what I wanted. Housed in a former jail on the corner of Seaside’s popular Broadway Street, the brewery’s vibe is as appetizing as its beer. I warmed up with a bowl of spicy beef brisket and black bean chili and a sampler tray that included Seaside Brewing’s just-released BDT Red and the collaboration ale from the brewers of Seaside Brewing, Astoria Brewing Company, Fort George and Bill’s Tavern. 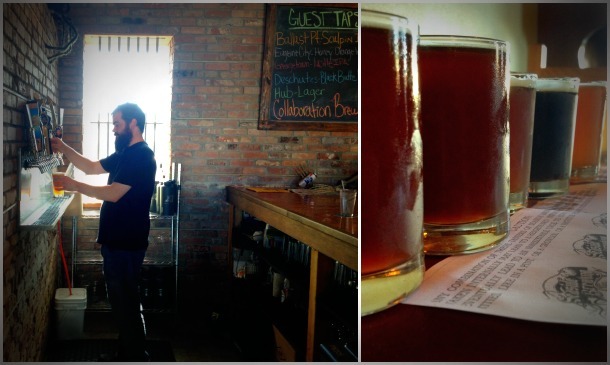 The collaboration beer is just what you’d want from a fall beer: a smoky, malty Scotch Ale that I instantly liked. 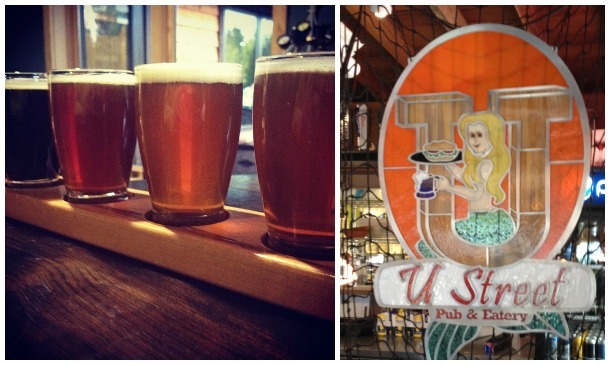 After lunch, I headed to U-Street Pub & Brewery on the south side of Seaside. This unassuming pub across from the Sandy Cove Inn is near The Cove, a popular surfing spot, and on this sunny October day I saw plenty of surfers heading down to the beach with their boards. U-Street co-owner Shane Morgan is a master at ensuring his customers are getting the freshest, most delicious beers, and I loved spending an hour with him learning how to pour the perfect brew (tip: if you’re keeping your pint glasses in the freezer, you’re doing it wrong). Next, we set our compass toward Astoria. The weather was beautiful, so we chose to take a sun break at the beach at Fort Stevens State Park before continuing our tasting journey at Fort George Brewing, Astoria Brewing Company and Rogue Ales Public House. Try a taste of the season at each: the Drunkin Pumpkin Ale at Fort George, Voodoo Fruit at Astoria Brewing, and Pumpkin Patch Ale at Rogue. All also are serving the collaboration brew, so I tasted another sample and tried to think up more creative names for the to-be-named North Coast signature beer. After a day of tasting, we settled in for the night at the beautiful Cannery Pier Hotel. I’m glad we didn’t check in earlier, because it would have been hard to leave our gorgeous room.